Set Of Vintage Floral Vector Bouquet Of Blooming Hydrangea And Garden Flowers, Botanical Natural Hydrangea Illustration On White. 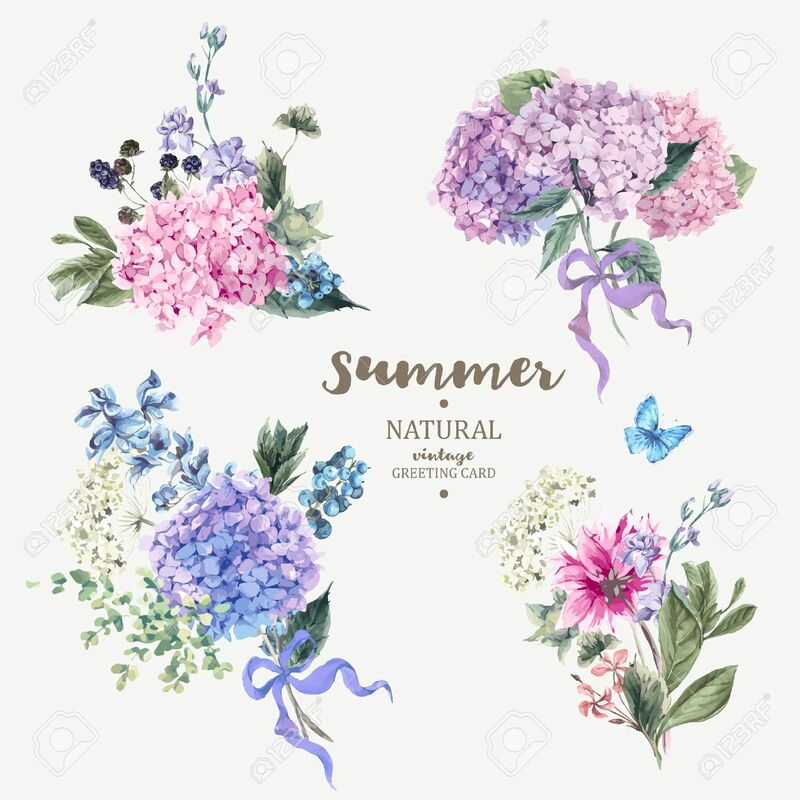 Summer Floral Hydrangea Greeting Card In Watercolor Style Royalty Free Kliparty, Vektory A Ilustrace. Image 59810394.